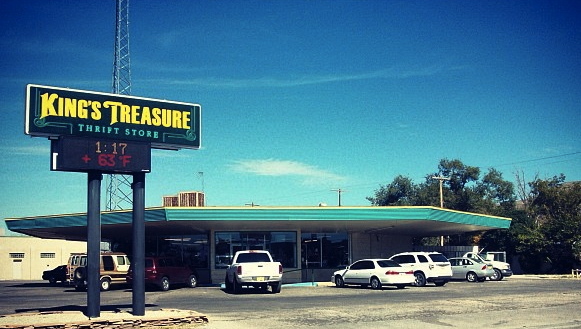 King’s Treasure serves 2 locations in southern New Mexico. The Alamogordo & Cloudcroft Store proceeds help fund the Pregnancy Center of Alamogordo. King’s Treasure Thrift Stores offers clothing, home decor, jewelry, kitchenware and much more! Stan and Jane Richardson oversee the ministry, and are full-time staff workers with Youth With A Mission (YWAM) and have served with the organization since 1982. YWAM is an international, interdenominational missions organization with more than 17,000 full-time workers serving around the world. Stan & Jane have worked with Living Alternatives since 1990, with Living Alternatives in Tyler, TX before moving to the Alamogordo area in 2004. All Youth With a Mission Staff are non-salaried workers. They do not receive a salary from this ministry, but raise their support through donations from individuals, Churches and Businesses.